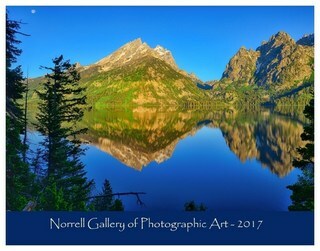 The new 2017 nature photography calendar from the Norrell Gallery is now available for $29.99. This year’s calendar consists of all new images taken during the past year from Wyoming, Utah, Colorado, Montana, and Idaho. The calendars are 8.5″ x 11″ and are printed and distributed by Lulu.com. Get yours today and start your new year off with beautiful nature photography!